How do I rescan for new digital channels? Many stations have changed their frequency or broadcast channel on February 12th. This will cause a lot of converter boxes to say no signal, a quick channel scan will clue your converter box in on which channels made the switch. 1. Hit MENU or SETUP on your converter box remote, and look for an option called AUTOSCAN or CHANNEL SCAN. 2. Wait as your converter box searches every channel for digital channels. 3. After the Autoscan is complete, use your Converter Box remote to flip through the channels to see if you have picked up your missing channels. 4. If you are still missing the channels, you may need to adjust your antenna and do another Autoscan. 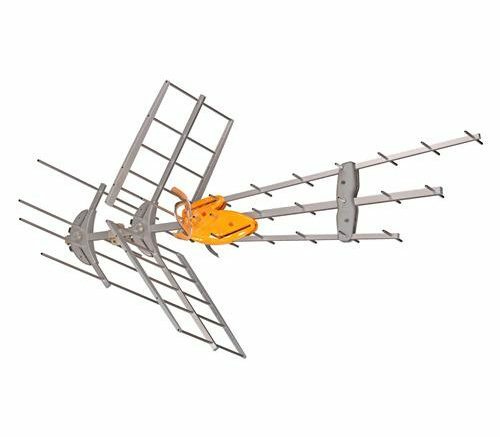 • If you are using rabbit ears, or indoor antennas, this is especially true, one corner of the house could have great reception, while the other has no signal. Also be patient, in following week stations may raise their broadcast power to compensate for areas experience lower than average signal. Will adding an amplifier improve the range of my antenna? Amplifiers can only amplify the signal they receive, so they will not enhance your antenna’s reception, amplifiers only make up for signal loss from long cable lengths or splitters. If you have cable lengths over 70 ft or if you are splitting to multiple TV’s an amplifier would improve your signal strength to overcome any signal loss. I thought they were getting rid of VHF all together? Most areas of the country will still have at least one VHF station after the digital transition, at least for now. In most areas of the country, all broadcasts will use channels 7-51. VHF broadcasting will be substantially reduced with the digital transition. Low band VHF, channels 2-6, will be completely eliminated in most areas of the country. Most areas of the country will still have some stations that will broadcast in high band VHF, channels 7-13. The UHF range will be reduced to channels 14-51. Looking for better TV reception? Just add height! Should you take a chance with a less powerful antenna?